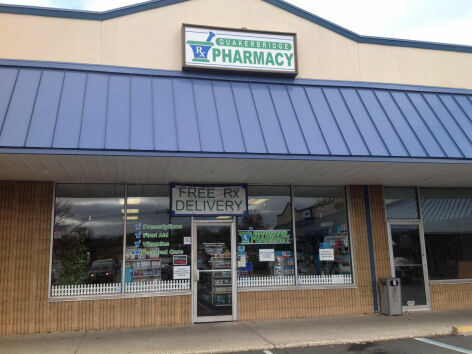 We are an independent pharmacy business located in Mercerville, New Jersey. Our motto is 'Your doctor knows your name, why shouldn't your pharmacist?' Our mission is to provide the most personal service possible. Become a Quakerbridge Pharmacy patient today to schedule a free one-on-one counseling session with our pharmacist in charge, Dr. Glenn Sudnick. He will review the medications you are currently taking, answer any questions you may have, and make recommendations to your therapy. For your convenience, Quakerbridge Pharmacy offers a one-step prescription transfer program. There is no need to obtain a new prescription from your doctor. All you need to do is bring us your old prescription bottle or simply call us with your old RX number...we take care of the rest!